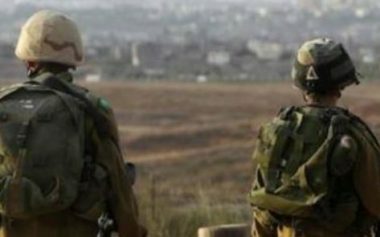 Israeli military bulldozers destroyed, Monday, a drinking water pipeline that was funded by The United Nations International Children’s Fund (UNICEF) in the Central Plains of the occupied West Bank. Mo’taz Bisharat, a Palestinian official in charge of Israeli colonies’ file at the Palestinian Authority in central West Bank, said many Israeli army jeeps and bulldozers invaded the area, during early morning hours, and destroyed a drinking water pipeline, providing water to Palestinian communities along the al-Hadeediyya and ar-Ras al-Ahmar areas. Bisharat added that the pipeline provided clean drinking water to 47 families, and extended on 8.5 kilometers. He also stated that the pipeline’s installation and equipment costs were 12500 euros, provided by the UNICEF to enable access to clean drinking water, and added that the soldiers confiscated large sections of the pipeline. It is worth mentioning that this destruction is the second of its kind in one month.